Everybody has been to the French Market down in the Quarter. It’s a great stroll, though maybe a bit touristy these days for locals. What makes the French Market and the whole Jackson Square area great is that it brings us back to a time when New Orleans was a city full of open air markets. 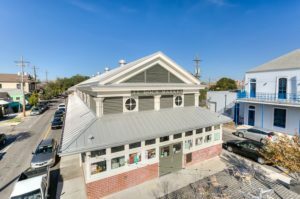 While most locals know that New Orleans has a history of open air markets in places like the French Quarter, you may not know that these open air markets existed throughout the city. In fact, more than a dozen markets were located throughout metro New Orleans in the early 1900s. 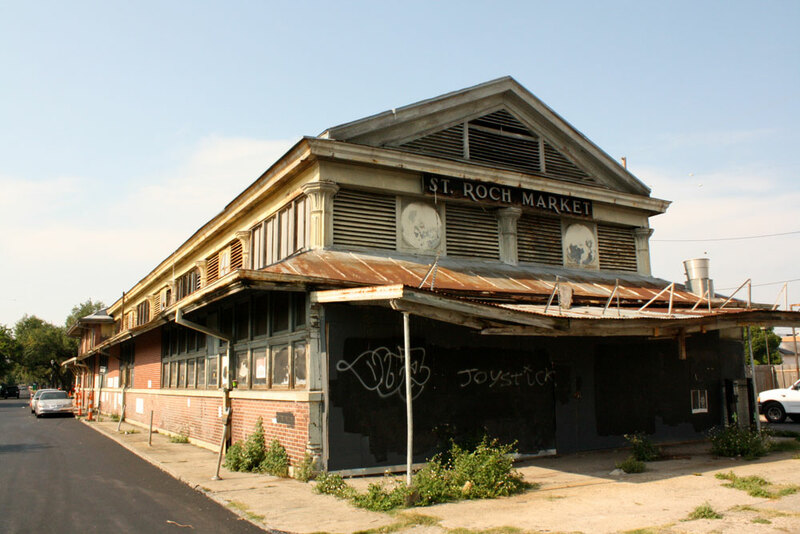 One of the most popular was the St. Roch Market. The St. Roch Market was originally opened in 1838 as an open air market. By the 1930s it was crumbling in disrepair. It was in such bad shape that the city slated it for demolition. Local neighborhood residents rallied support to keep the market. It was renovated, enclosed, and updated. Through the years, the building went through several renovations and changes. However, by the 1990s it was yet again a blighted property. Katrina polished off what was left of the building in 2005. As if the flooding wasn’t bad enough, the building suffered serious structural and roof damage. The great St. Roch Market was but a damaged and broken shell. 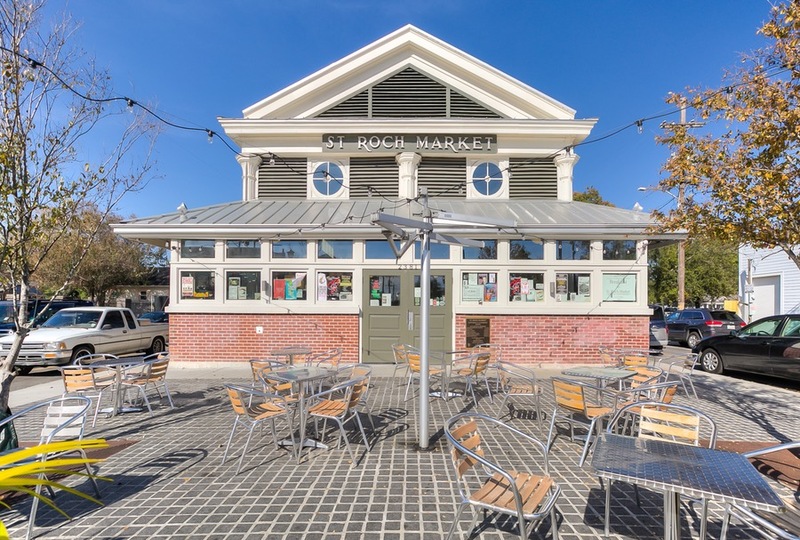 In 2009 developers purchased the building with the goal of not only restoring the market, but modernizing the concept of the local farmers market. The results speak for themselves. 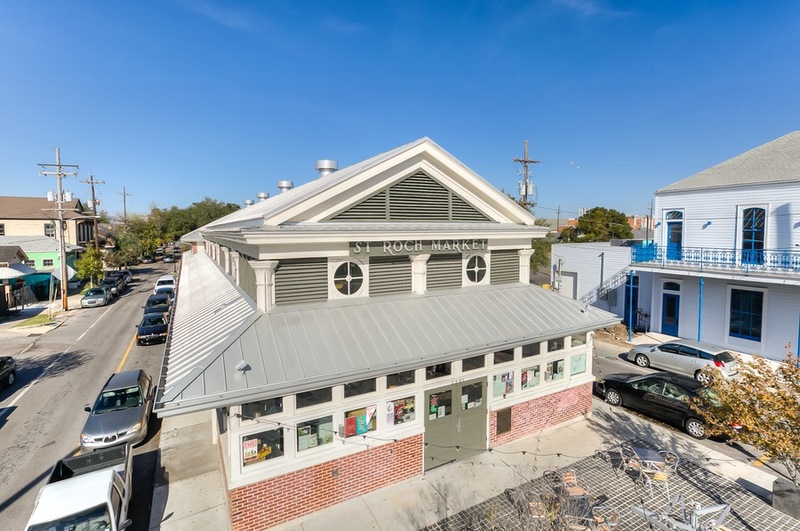 Juneau Odenwald Roofing has been involved with many historic roof renovations in New Orleans but this was a special project. The original market had such a unique look that the developers wanted to preserve and restore that look – exactly as it was in its heydey! 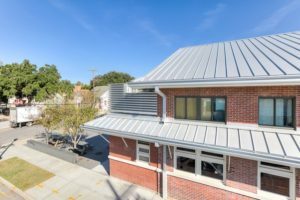 Restoring a flat roof on a historic building is one thing, but matching metal roofing styles from 100+ years ago is an entirely different matter. As if that wasn’t difficult enough, the developers wanted to improve the roof from a structural and durability standpoint. The first step in the project was removing what was left of the existing roof and decking. Everything had to go. Next we installed new roof decking as well as a new ice and water shield. For the metal roof itself, we chose a product called Galvalume – a roofing made of galvanized steel with a metal alloy finish. Why is this a big deal? One word. Rust. The old roof was made of galvanized steel which was pretty standard in New Orleans at one time. But take one look at the old pictures and you’ll see what a problem they had with rust and corrosion. Galvalume gives you the benefits of metal roofing but keeps it looking clean and new for years to come. It’s an amazing product for metal roofing. 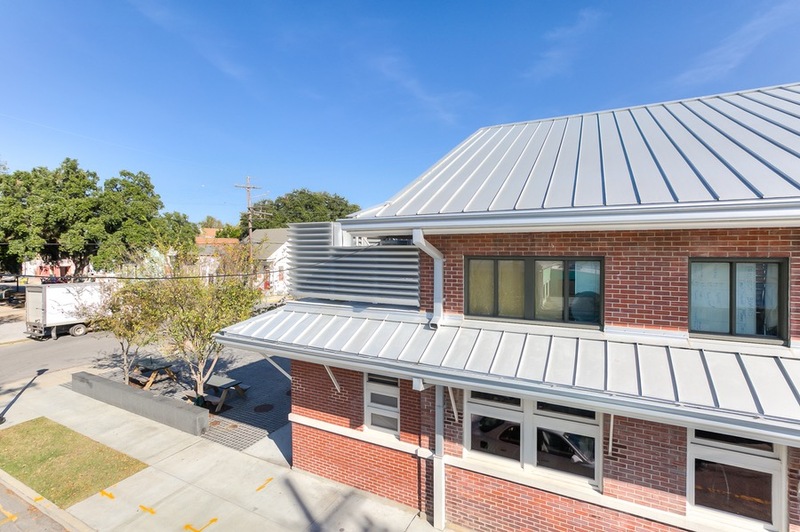 Once the roofing was installed, we added custom copper gutters and downspouts from our sheet metal fabrication team at Crescent City Copper. The developers did an amazing job of preserving the look and feel of the building while modernizing its use and the materials, which will protect the building and its tenants for years to come. We’re proud to have contributed to the project and to the revitalization of the city we love. 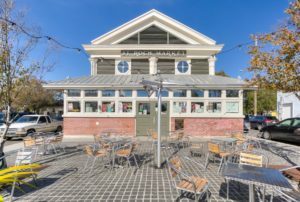 If you haven’t visited the newly renovated market, stop by and have coffee or lunch. You’ll become part of New Orleans history!